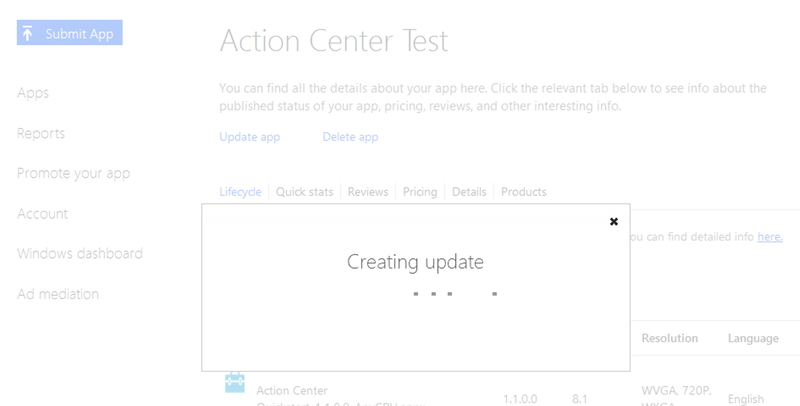 Testing your Windows Phone apps is really time consuming if you have to do it yourself. I used to let my apps being tested by friends by unlocking their devices and installing the new app by hand on their devices. 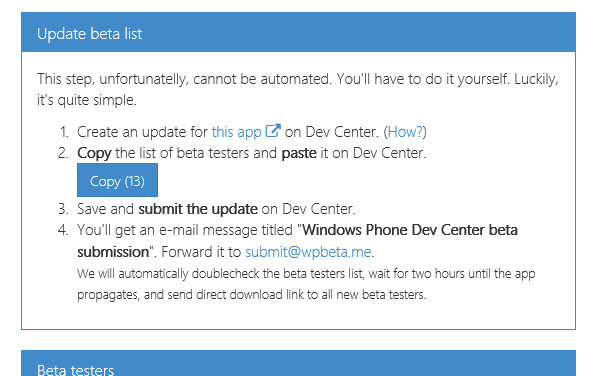 Just provide a list of unique email addresses which are used by your testers to get to the Windows Phone Store (the account associated with their phones) and submit the app. 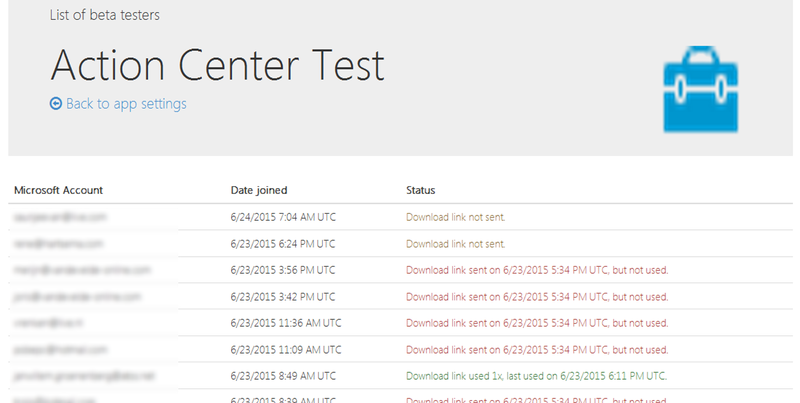 You just have to send that store address to your testers, finally. 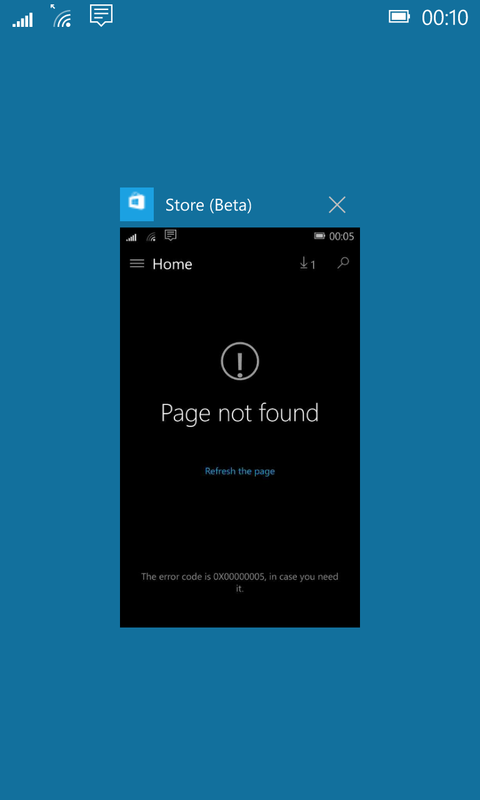 But now wpbeta.me is available as preview. 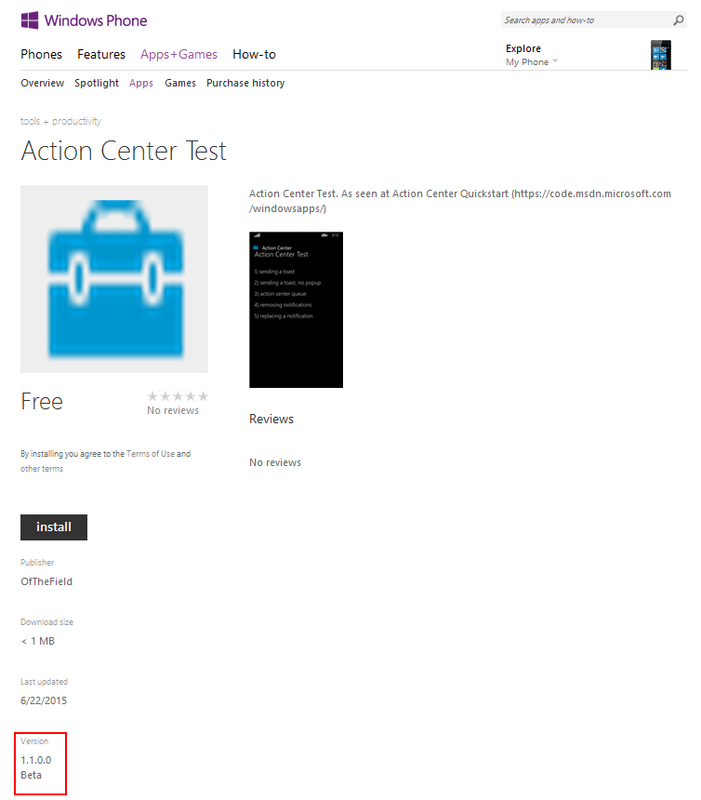 This service (only for Windows Phone developers) makes it possible for them to ‘advertise’ their beta apps for free to registered beta testers. This makes it possible to get beta testers from all over the world with less effort and the service makes it easy to communicate to all your testers. And it’s free! And for you and me, as beta testers, we can see which beta versions of apps are popular or new and we can ask to join the beta test. This does not mean everybody can download my app directly. 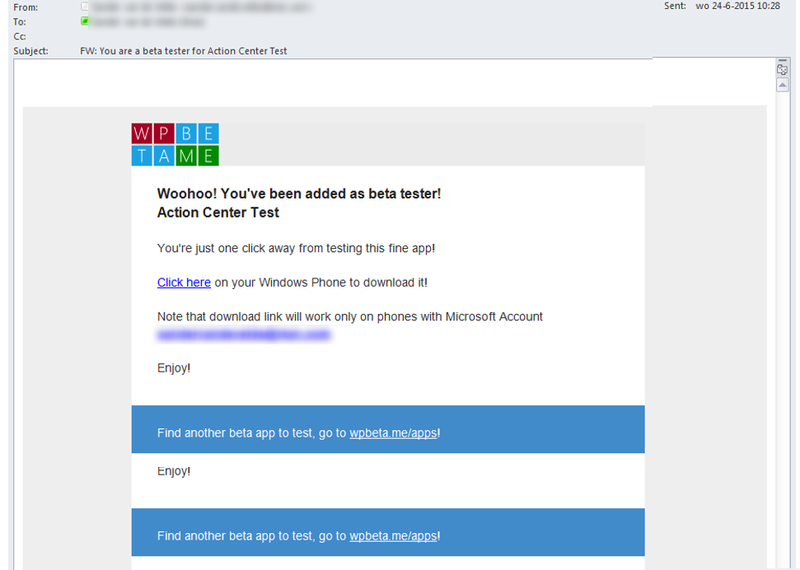 No, beta testers first have to register to my app in wpbeta.me and then I will retrieve their email address, which they use to visit the Windows Phone store, to formally accept them as testers. How can I make these two persons to download my app? Is this all? Almost! There is also a simple way to send a message to your users (only once a week to prevent spamming). And there is swag. By using wpbeta.me you will be granted free coupons for eg. AdDuplex, myFreeApp and AdDeals. So in the end, this is a useful add-on to the Windows Phone Developers portal but it would be nice if this was just an integrated feature. And this would be a nice feature for Windows (10) (Universal) Store apps too. Note: I got a message from a tester running Windows 10 Mobile Insider preview. He was not able to open the link. 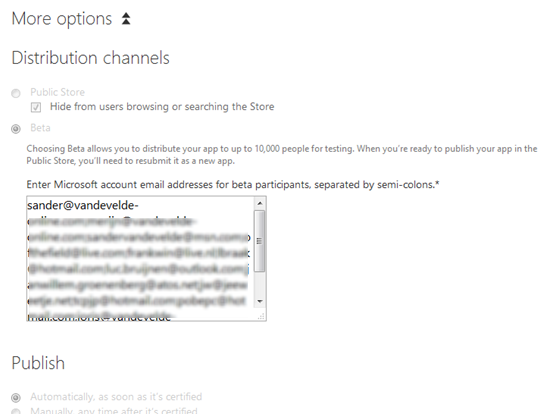 The referral to the regular store ended up in a ‘beta’ store? Recently we migrated our solutions to Azure SDK 2.6 but we noticed a nasty little issue: When updating the web.config, not always the system.diagnostics node is updated. It was sticking to version 2.2. The update is very smooth, normally. 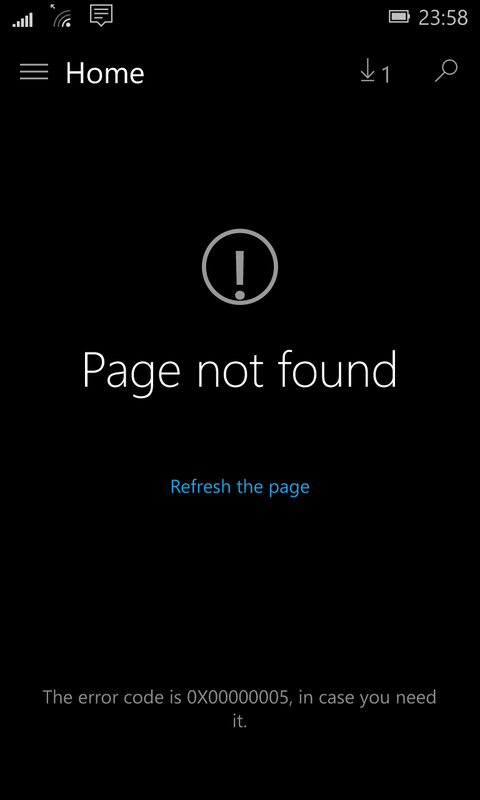 After deployment we got some errors regarding not referencing the Microsoft.WindowsAzure.Diagnostics dll’s. This seems rather trivial but if tracing fails, there is nothing traced 😉 In the end we had some luck, the development environment exposed the error to the browser. Today I stumbled on ‘strange’ behaviour of Nuget. Well, it’s not really strange but more like confusing. It started when I added Application Insights to an existing website. This can be done in several ways (there is really good tooling inside Visual Studio when creating a new website or with the right-click on the project) but I was adding it by hand. So I added Application Insights for Web Applications. And version 0.17.0 was added. 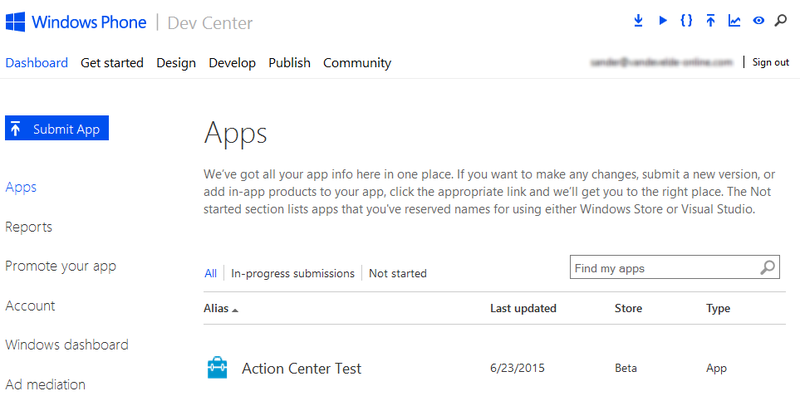 This is relying on the Application Insights API package 0.17.0. Well, my assumption is then when I ask for packages, including prereleases, I automatically get all the latest versions. I was wrong. What did I learn today? 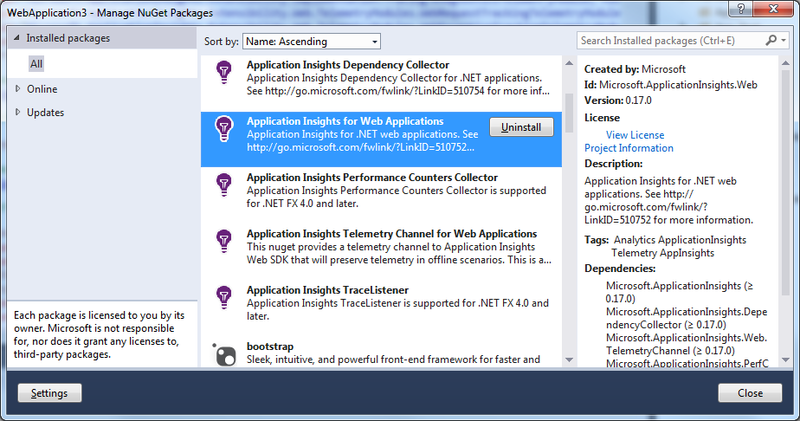 Do not take Nuget and it’s release management for granted. After installing a certain package, check for updated and decide if that one is good for you. * I ran into a problem when I simply added the System Diagnostics listener nuget package. Suddenly my code was not working anymore (and I got this ‘Object reference not set to an instance of an object’ when simply consuming the Telemetry client). I traced it down to a line of code in the Application_Start() method in the App.config. There I add the Application Insights instrumentation key by hand because we want to separate tracing from developers and from testing and from production (we are using an OTAP environment). Just by removing that line, everything was working again. But I lost the iKey choice. 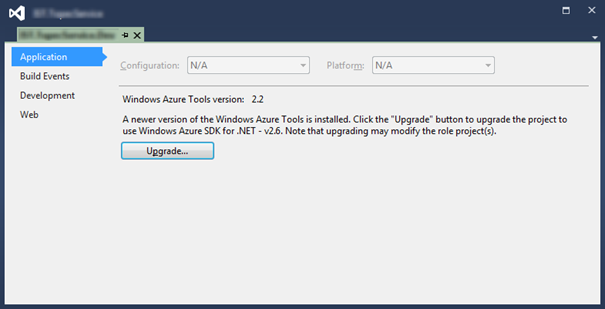 In the end, just updating the SDK nuget package fixed this error. Azure Application Insights is a great way to get to know your applications, both from the outside (how is the user experience) and from the inside (how is your code performing). We use it a lot to find out the slowest code and the slowest pages. And we have added a listener to the diagnostic tracing, so now we have a good insight in tracing errors. But we had one issue with the identification of related items, the specific identification is not clear in the browser: the Application Insights identification is not available in the client. And the AI sessionid is not an Asp.Net sessionid. 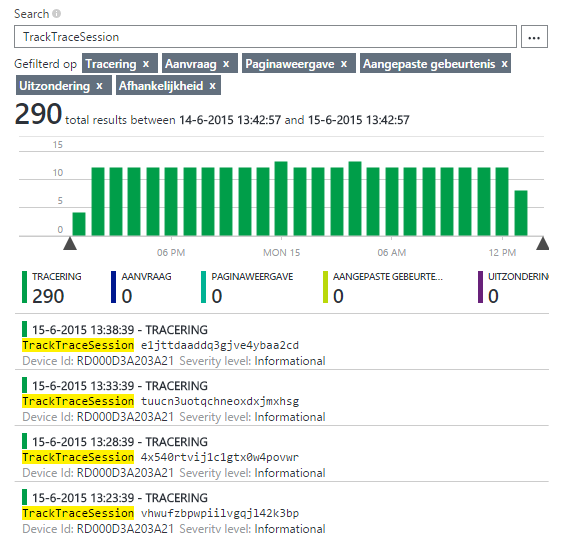 And we can find the sessionid in Application Insights when traced. It’s not dangerous to expose this id on a page, the sessionid can already be found in every website when checking the communication or the cookies, so no extra security breach here :-). There was only one extra point of attention. As long as the session is not actively used in code, each call get’s another sessionid… it is not very unique yet. You can solve this in two ways. This method is only executed once, when the user calls a page for the first time. 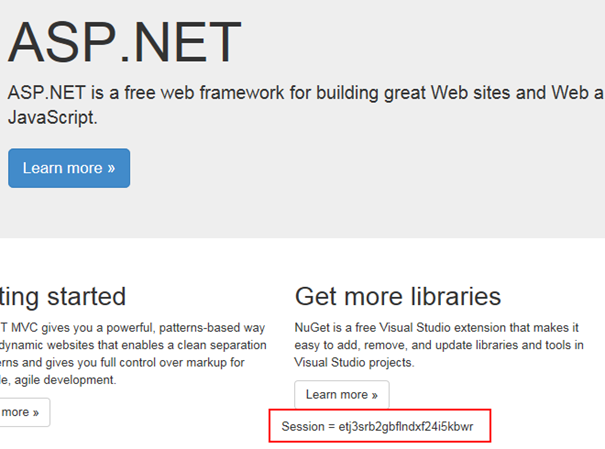 So now we know for sure which (Asp.Net) session the user is using. And we can track the user as far as needed. And this is also a great help during development.